New Year's resolutions may already be a distant memory for some - particularly when it comes to lifestyle changes. Lots of us will have pledged to improve our diet and eat healthier, but that can be easier said than done. A scheme has been launched, however, that should help people to make healthier choices. Healthier Options is a collaboration between Lincolnshire County Council - Public Health and district councils, including South Kesteven. It aims to help local small and medium-sized food outlets and businesses across Lincolnshire make healthier changes to their menu and food preparation and raise awareness of healthier eating. Cllr Mrs Sue Woolley, chair of the Lincolnshire Health and Wellbeing Board, said: "Many of us eat a number of meals outside of the home, either at work or in cafes or restaurants, which can often be higher in calories, sugar, fat and salt. "So to give people more choice, Healthier Options will work with local food outlets to include healthier ingredients, cooking techniques and dishes. "It is a great way of providing healthier eating opportunities across the county. The aim is not to force people to eat healthier options, but to make them easier to find for those who want them when eating out. "We are working with takeaways, restaurants, sandwich and coffee shops, mobile traders, leisure centres, canteens and more." Healthier Options is free to join and open to takeaways and food outlets with a hygiene rating of 3, 4 or 5. The scheme calls on food businesses to consider introducing healthier option to the menu; reducing the amount of sugar, fat and salt used in cooking; and promote healthier drinks. Among those already signed up are Knightingales café in Grantham, Newton's Wine Bar and Tapas, Bourne, and Oasis Café, Market Deeping. SKDC's Cabinet Member for Communities, Health and Wellbeing, Cllr Jacky Smith, said: "Rather than telling people what they should eat, Healthier Options aims to help customers make healthier food choices with little effort - or even without them realising. "Businesses could, for instance, make tasty vegetarian options, offer sugar-free and low-fat drinks, create a healthy children's menu, or source healthier foods and ingredients. "It doesn't mean the whole menu has to be healthy - just that the business ensures some of the options are healthy. "Signing up to the scheme could help businesses attract new, health-conscious, customers. It could also help existing customers adopt a healthier lifestyle." Hayley Pulfrey, of Knightingales. said: "We are proud to be part of the Healthier Options initiative. I was particularly pleased, particularly as our membership is based on the menu we already offer. "I'm always looking at new recipes and ways to improve the menu so I look forward to offering healthier options to our customers in the future." SKDC Environmental Health Service helps businesses decide if Healthier Options is something they want to achieve and whether they are willing to make changes to their menu to do so. Having agreed to make the pledge, the team will work with them to complete it within three months. Once a pledge is successfully completed, the business will receive a certificate/window sticker and other promotional material. The business details will also be promoted online via the Lincolnshire County Council website and a link from the SKDC website. Caption 1:Patrick Mattison and Hayley Pulfrey, from Knightingales, with Clllr Jacky Smith (left), SKDC's cabinet member for Health, Communities and Wellbeing. 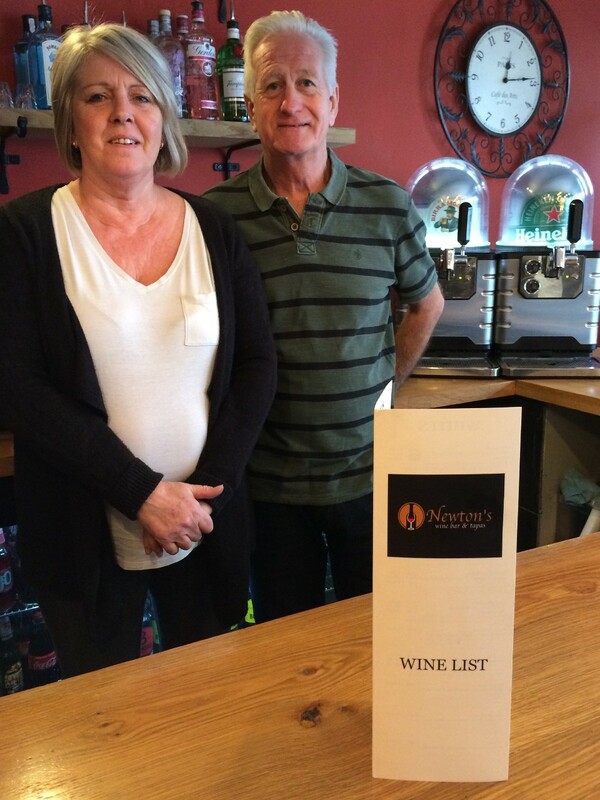 Caption 2:Gail and Keith Newton, of Newton's Wine Bar and Tapas, Bourne. 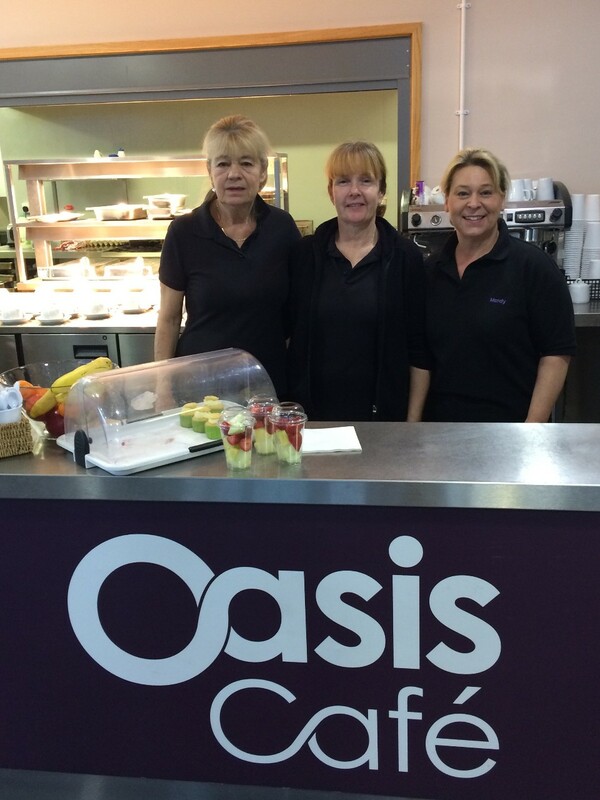 Caption 3:Jane Fear, Sonia Scullion and Mandy Dennis, of Oasis Café, Market Deeping.